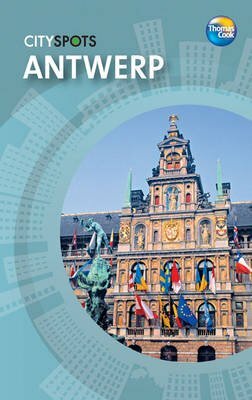 "Cityspots Antwerp" takes you straight to the heart of the proud capital of the Flemish half of Belgium, a serious challenger for the title of Europe's coolest city. Antwerp is a city where the high art of Rubens blends seamlessly with chic shopping streets and sophisticated nightlife. It's a must-visit for any self respecting city breaker. Antwerp highlights include: Grote Markt, Antwerp's historic square dominated by Onze Lieve Vrouwe Cathedral; hundreds of eclectic nightspots and 'brown cafes'; Rubenshuis, the home and studio of Pieter Paul Rubens and the artist's paintings which grace many churches around the city; cruising down the River Scheldt; indulging in Belgian chocolate and waffles; walking along the 'Golden Mile' catching the sights and shopping; marvelling at Het Steen castle; chilling out in Rivierenhof Park; and, partying into the small hours in the happening district of Het Zuid. About the market: Antwerp is home to over 70 per cent of the world's trade in diamonds. The city is only a short hop from the historic towns of Bruges, Gent and Brussels and the Dutch border. This work is perfect for pleasure-seeking city breakers wanting to quickly pinpoint the city's most entertaining highlights and decide what to see and do in a limited time. It is presented with clear maps to enable fast orientation and full-colour illustrated pages to pinpoint the very best in shopping, sightseeing, eating and drinking - plus great ideas for low-budget entertainment too. This work spans a wide range of destinations, including those served by budget airlines. It features practical listings to suit varied budgets and tastes. Imaginative suggestions reveal each city's hidden gems. Its compact format quickly locates the top must-see and do attractions. It also features full-colour maps and photographs.